On the joyous occasion of Dussehra, I extend greetings and best wishes to my fellow countrymen in India and abroad. 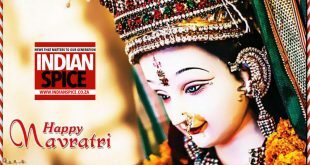 Navaratri (Sanskrit: नवरात्र), a festival dedicated to the worship of the Hindu deity Durga. The word Navaratri means 'nine nights' in Sanskrit. Devotees of Lord Vishu put a mark in the shape of the alphabet 'U' in & devotees of Lord Shiva apply it in horizontal lines. Send us a video of your kids going #GwaindaGwaindaGovinda for #Purtassi. Win cool prizes! A unique way of showing devotion on Chaturthi: by offering liquor and non-vegetarian food as offering to Ganesha.